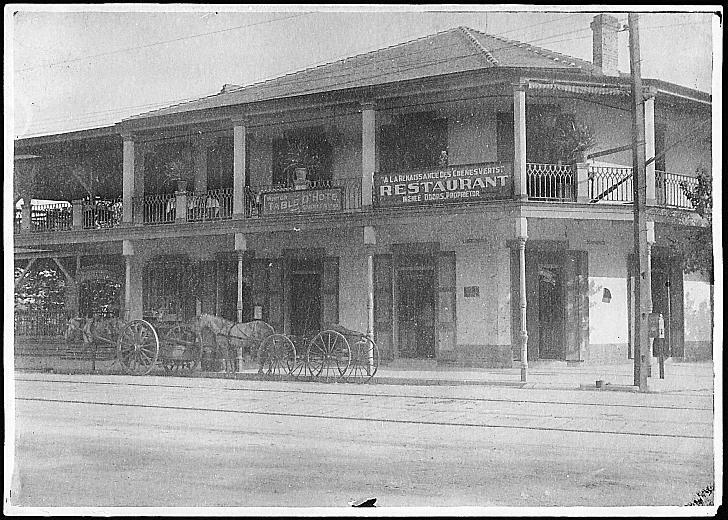 Now the home of Ralph's on the Park restaurant at City Park Avenue and Alexander Street, Jean Marie Saux sold refreshements here to park visitors before City Park offered potable water, restroom facilities, or concessions. In 1900 it was named A La Renaissance Des Chenes Verts_Restaurant. Photograph courtesy of the Louisiana Digital Collection.